Autograph Hell was conceptualized when a prized autograph of President George Washington turned out to be a fake. Author Charles G. Irion was stunned. As an illustrious, informed autograph collector, how could this happen. 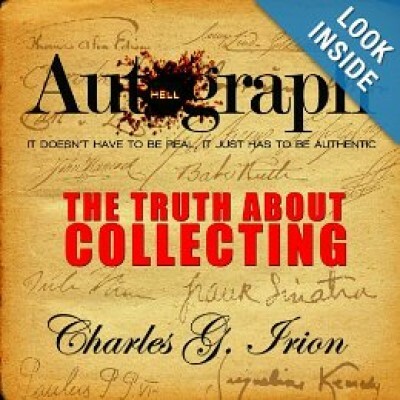 Follow Irion on his trail of truth as he starts at the very beginning of autograph collecting to find a world filled with falsified documents and counterfeit signatures. Most of which were "authenticated" by the autograph experts who control this multi-million dollar business. Join Irion as he explores a mind-boggling world of autographs that aren't what they seem, run by people who aren't what they claim. This book provides both an enlightening and disturbing expose' of the rampant treachery in the world of autograph collecting. Before you buy one more autograph you must read this book!